25.87 carats Kashmir Blue Sapphire cabochon set in platinum with diamond accents is valued at over $3.5 Million! 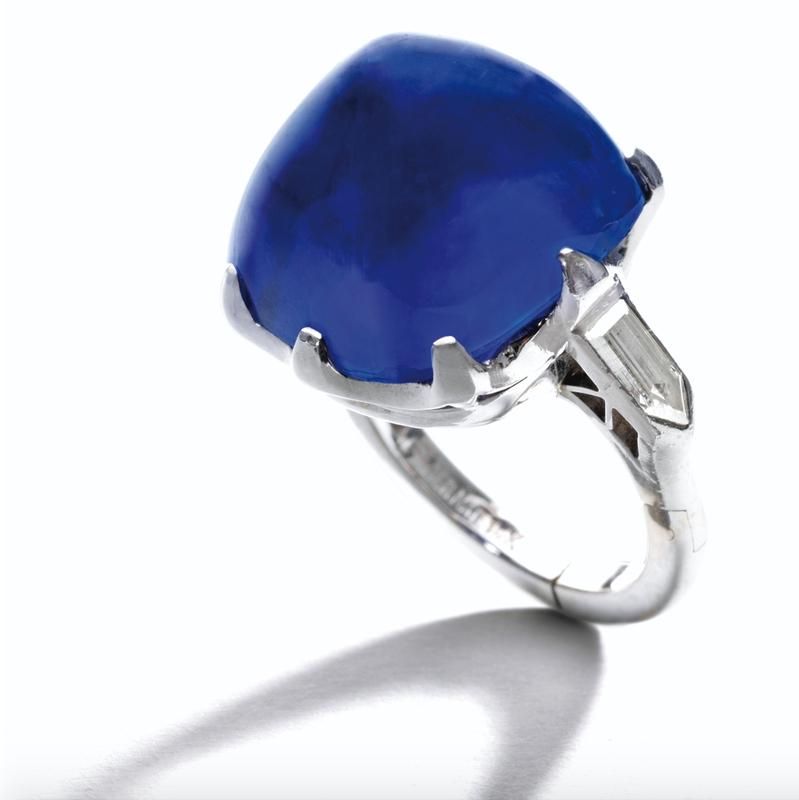 This is an exceptional gem that could set the price bar for Kashmir sapphires for years to come! Kashmir sapphires are so rare that you don't even see them in auctions very often! I am sure that the bidding will be very hot on this one!